Auntie R lived in the city during the school year so we only really saw her in the summers, but when we were old enough to drive, I saw her a lot more! We had lots of fun, drama, craziness, and laughs. We even made some trips to the loony bin! Now Auntie R has 2 beautiful twins. Cousins J & G. They are adorable! 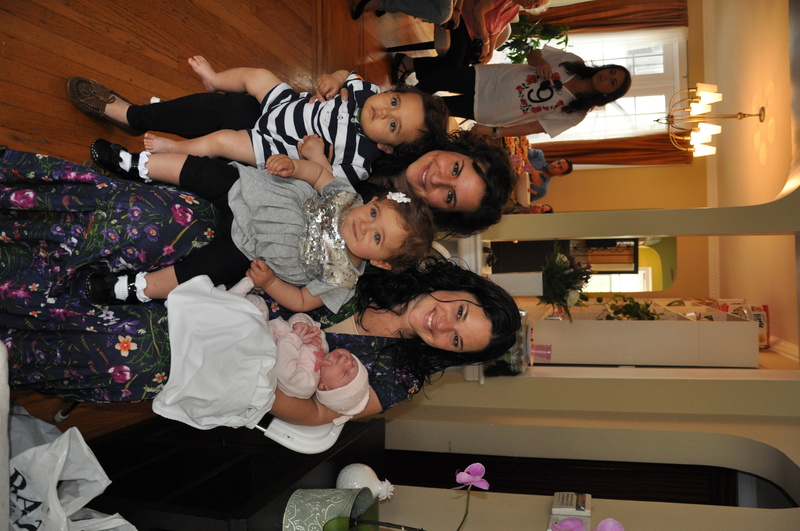 Auntie R, Cousins J&G, Mommy & baby A @ baby naming brunch...really she was such a peanut. This is so nice. Auntie R and co. cant wait to share many memories with A like she has with A’s mommy:) clothing and shoes for shul too 🙂 Cant wait !!! !